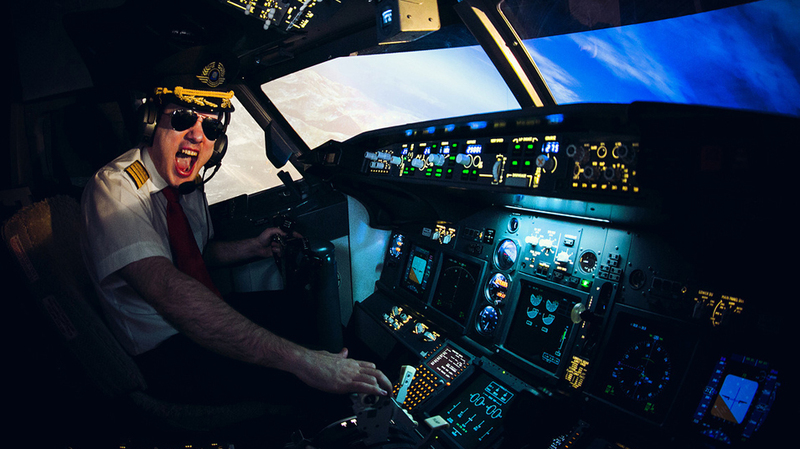 The simulator provides a realistic dynamic impression that reproduces every aspect of the real flight experience. Dream Aero personnel will promptly respond to user requests and answer all questions they might have about booking a flight. If you arrive early, we will offer you tea or coffee as you wait for your flight. All the controls and flight instruments in the flight simulator cockpit come from a real-life aircraft. Real airplanes are equipped exactly the same way. 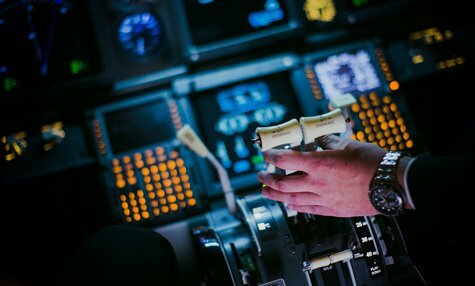 We use only new and certified piloting equipment. 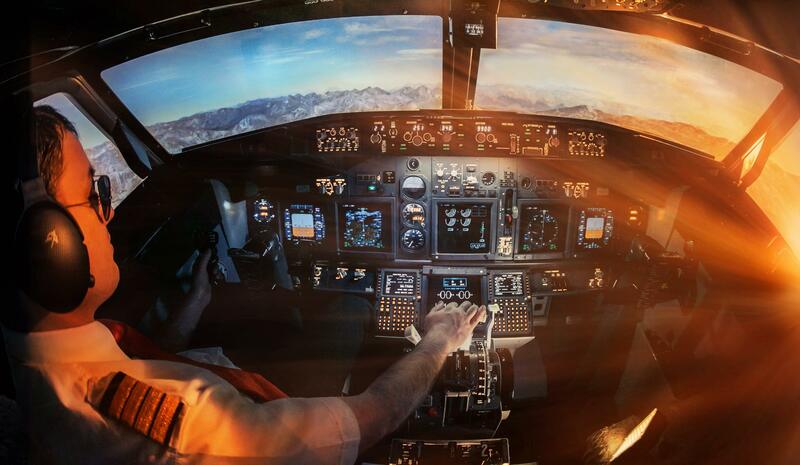 The panoramic glass of the cockpit with a state-of-the-art 3D video system allows to display images of any real terrain in various weather conditions. There is a 20% discount available if you lucky enough to visit us on YOUR BIRTHDAY as well as one day before and one day after your birthday (PLEASE NOTE! Discount are available ONLY if you present your ID and ONLY one day). It was very easy as a beginner & all istructor were giving clearly. Mitesh, the trainer, was instruct me in very clear way & keep the experience funny. The instructor is great person and has a passion. Very informative session. It was a dream & thanks to Dream Aero this dream came true. 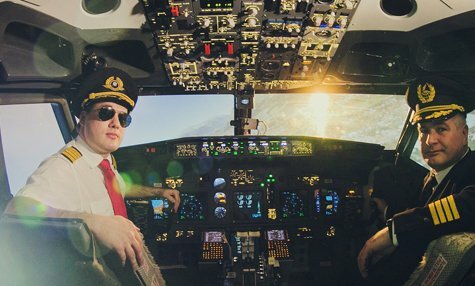 I've always been searching on how to get into captain training simulator & in the market I never found a simulator that is similarly to the one airliners train their captains with except for Dream aero simulator. It has hydraulic motion functions that make you actually feel you are flying an airplane for real. You will feel turbulence, the plane movement, the outside weather effects, the beautiful engine sound while you either enjoying taking off or landing. My first session was for 15 minutes I got induction session for free on how to fly the plane then when the clock started I was able to preform a take off, cruise and landing then after landing I got to know more on every button. You will have an experienced trained pilots which will introduce to every button in the plane & guide you on how to fly the plane in a very professional way, I've learned alot from Mr. Mahmoud & Captain Maged, in my second session which was for 30 minutes I've tried to challenge myself by landing in difficult airports such as Hong Kong's airport while having windsheer pushing the plane out of runway. It was amazing experience, even my wife who used to fear flying now she became more excited to fly after getting to know how the plane functions and what the pilot do to fly the plane. Really thank you guys and a special thanks for the beautiful amazing lady at the reception who welcomed us with a beautiful smile, arranged our bookings very professionally even though we always came very late and gave us a tour inside the cabin before the fly starts. Thank you guys, thank you dream aero for making my dream come true. I am a student at a civil aviation flying school. It was my first flight on a 737. I loved every aspect of it! The instructor was superb! it was my first flight!!!))) Amazing! My emotions went off scale! Many thanks instructor! He is a real professional! I will definitely come back for a second flight and invite my friends to join me! Many thanks to all staff, especially the piloting instructor, who was so patient during our landing, and to administrator, for her hospitality and understanding when we showed up late. Thank you very much! This flight on the flight simulator was a gift to my son on his 13th birthday. I must say that my son enjoyed every minute of it and was absolutely delighted. Special thanks to Denis, our instructor. He made our flight a superb experience. He was friendly, did not talk too much, and I think he is very good at psychology )). He made us feel at ease, let us do what we wanted, even make our mistakes. We remember back to those minor incidents with as much pleasure as the flight itself. In one hour we completed three takeoffs and landings. I was even a bit air-sick. Even as I observed the flight from the back of the cockpit, I was very much impressed. I loved the visualization, sound signals, the whole environment. It felt like a real flight. I wish it would be less expensive so that we could come oftener. I think now we’ll have to start saving for a flight on his next birthday. Please send a message to Dream Aero manager, describe the details of your future flight simulator session and request a ticket certificate allowing people who never sat at the wheel and only dreamed about piloting, an opportunity to “lift off” an aircraft. Share your impressions with us, and we will publish it on the website!